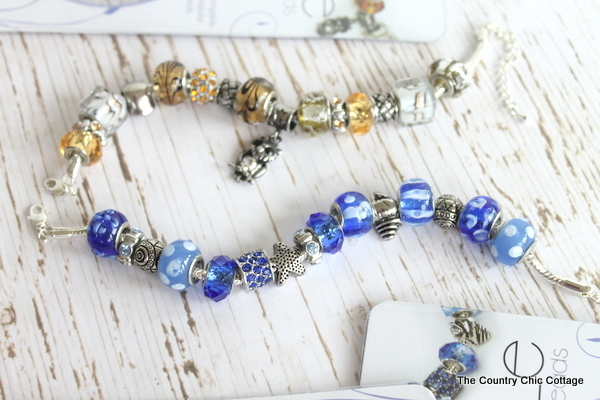 You are here: Home » handmade gifts » Make Your Own Jewelry THE EASY WAY! 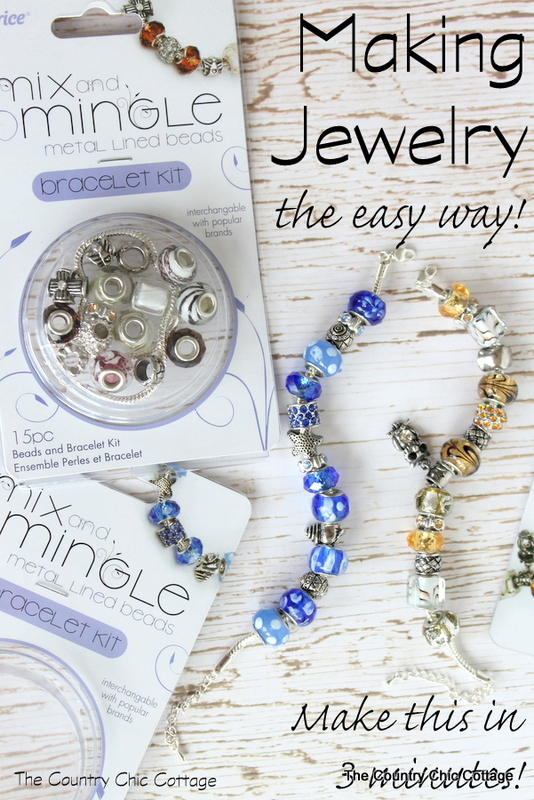 Make Your Own Jewelry THE EASY WAY! That big holiday when we all go crazy shopping is just around the corner. I am kicking off some great handmade gift ideas around here. Ideas that are simple to make and won’t put you into debt. I am going to start with showing you how to make your own jewelry the easy way. This is so super easy and will make a great gift for mom, grandma, friends, and more. This post was originally posted over at Darice however I thought I would post it here in case you missed it. So I could say this bracelet only takes 3 minutes to make but you might not believe me. So I thought I would SHOW you that you can in fact make your own jewelry and it can in fact be super quick and easy. Watch below as I make this bracelet LIVE! See! It is so simple and easy that you can do this! 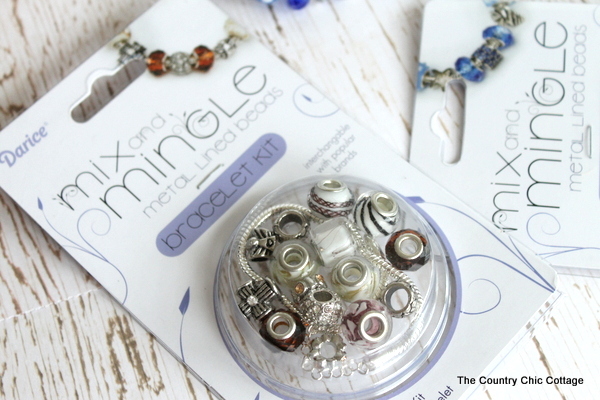 These great kits are easy to put together and will make a great gift. You can see the two bracelets mentioned in the video below. These are made with the beads in the kit however you can order additional personalized beads if you wish (see links for ordering above). Learning to make your own jewelry has never been easier. Products were sent to me for free for this post however all projects and opinions are my own.